Pumpkin Guts and their many uses! There you are with your pumpkin and carving tools. You’ve traced the design and maybe removed the top already, but what to do with all that gooey, stringy junk inside? Don’t throw it out because there’s something you can do with the innards. 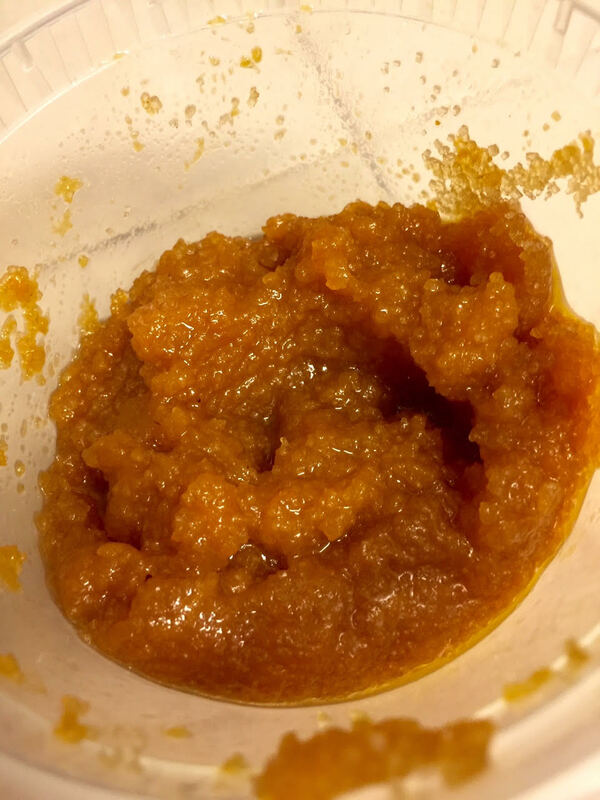 You can roast the seeds, make pumpkin butter from the scrapings, and even improve your skin with a cool pumpkin face scrub. Check out some easy ways to make use of pumpkin guts. Set your oven to 375 degrees Fahrenheit and get your supplies ready to clean out your pumpkin. 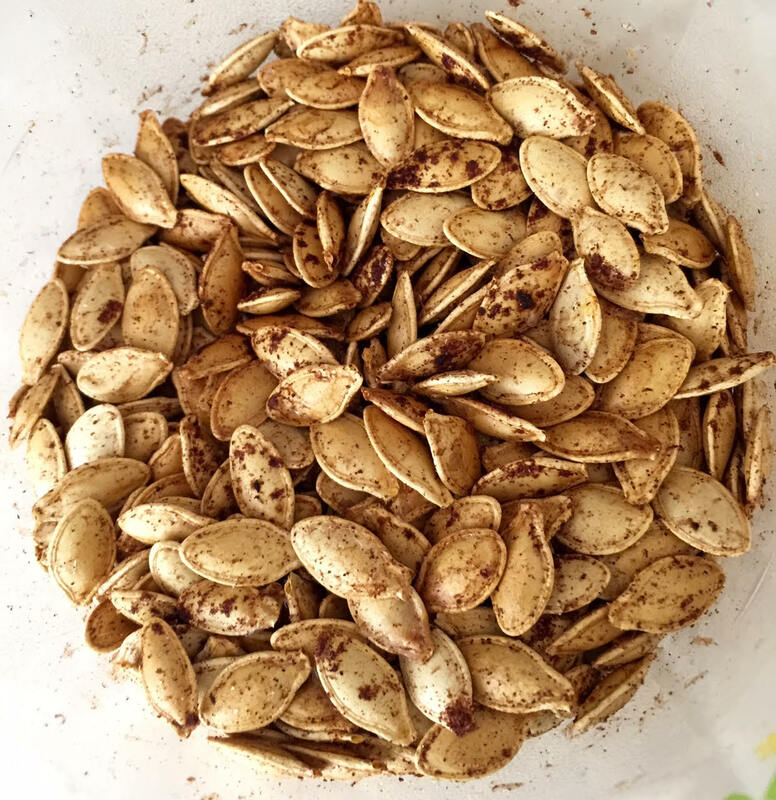 After you’ve gutted the pumpkin, you have a whole bunch of useful seeds that can be tasty when cooked right. Clean them up by getting the orange stringy and other goopy stuff off. Use about a Tablespoon of olive or coconut oil to coat them. Lightly salt them, or use another spice or herb. I like to use sea salt. Gather the seeds and spread them in a pan lined with aluminum foil. Put your pan in the oven for 20 to 30 minutes, or until the seeds look toasted. Some toppings you can put on after roasting the seeds could using are: salt-and-pepper, a combo of cayenne, cumin and chili powder, or a little cinnamon, brown sugar, or nutmeg is nice. You can also make your own combination. Be brave, try something new. I like to use pumpkin pie seasoning sometimes. 2 cups of brown sugar *If you want to cut back on sugar, 1 cup could work, 2 cups is a bit sweet. For this project, use a good knife and a pumpkin scraper to scrape everything out of the pumpkin. If you don’t have a scraper you can use a spoon. Scoop out the seeds and set them aside for something else, such as roasting them. Scrape out the guts and the stringy orange gunk. Next, cut the pumpkin into cubes. You want to put your sugar, pumpkin cubes, apple juice, spices & vanilla extract in a bowl and stir it up. Set your crockpot for eight hours. Use your immersion blender, regular blender or food processor and mix well after your pumpkin innards have been in the slow cooker. 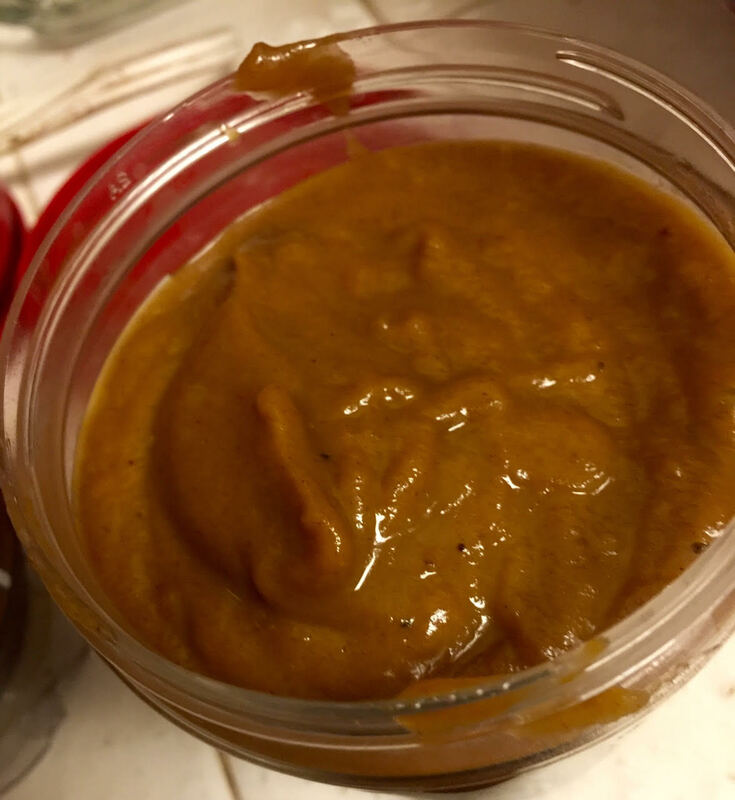 Put your pumpkin butter in small closed containers or in one large container and let it cool. If refrigerated, this will last up to two weeks. I like mine in ice cream or frozen yogurt. Sometimes I use pumpkin pie spice in place of the regular spices. 1 tablespoon of grape-seed, hempseed, sweet almond, or jojoba oil. Use one or a mix of a few, it’s up to you, just make it 1 tablespoon total. Mix your sugar, honey, oil and pumpkin in a bowl until it’s combined. You can add a little more sugar if you want. It’s up to you. Put it in small containers or one airtight container and keep it in the refrigerator so it will last longer. Keep it until it looks too gooey to use – maybe two weeks tops. You can replace the sugar with salt if you like. Salt is more drying to the skin than sugar. Jacqui is a single mom of 2 in Los Angeles. She makes artisan cosmetics for her small biz, White Witch Beauty and works at a K-8 school. She believes in magic and glitter and is a devout cat worshipper.